As most parents know having a little girl means there's normally a pink explosion in the household which can literally take over if you're not careful. Back in April I wrote a post called It Doesn't Always Have To Be Pink to show parents alternative clothes for girls. This is version #2 for you all with some lovely brands who have some super cute clothing and accessories for your precious princess. Fred and Noah make both boys and girls clothes from some very funky unique patterns and prints. They're handmade with care so attention to detail is spot on. They can be found on Etsy and stock clothing such as leggings, dribble bibs, printed tees, headbands etc in sizes 0-5 years. I've recently purchased a little pair of Bambi leggings for Harlow to wear and I honestly can't wait till she's old enough to put them on. I love sweetpetitekids, they always have such unusual patterns of fabric to make their gorgeous baby and toddler leggings from. You can also get matching dribble bibs to go with your leggings for added cuteness. As you can see here Harlow is sporting her giraffe leggings and matching dribble bib. They're super soft and must be so comfy for baby to wear. Sweetpetitekids make leggings in sizes from 0-4 years. 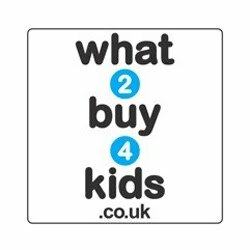 This fab website is an eco-friendly online boutique stocking some gorgeous kids organic brands which include; Anarkid Organic, Boys & Girls, Fred's World, Maxomorra, Nosh Organics, Piccalilly, Poco Nido and The Bunting Tree - as well as tights from Slugs and Snails. They always have a fantastic sale every now and again so I make sure and purchase some unusual pieces for Harlow. I suggest you check out DaisyChainBaby.co.uk for some cracking clothes for your little one. Every little girl needs some accessories for her outfits and what better way to do that than by purchasing some awesome hair accessories from Roses and Bows. They have a massive selection to choose from and their delivery time is pretty quick for handmade items. We prefer the headbands with bows since Harlow doesn't have much hair but you can get the bows on clips as well. So that's some of the baby clothes and accessories we've been loving recently. If you know of any others that I should be looking at then please let me know. Or if you'd like to be featured in my next It Doesn't Have To Be Pink post then please drop me an email. 3 comments on "It Doesn't Always Have To Be Pink #2"
Gaaaaaaah, how many times has somebody assumed Matilda's a boy because her DRESS is blue or she's wearing a green or yellow or grey outfit? It really does seem like "girls wear pink and boys wear every other colour". It utterly baffles me.